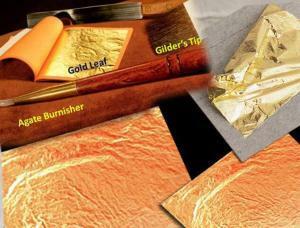 We sell gold leaf, gilding products and gilding tools, and edible gold products to food lovers. We also sell cosmetic gold products for the beauty salons and skin care professional. Is to become New Zealand one stop shop for the gilding industry, and to offer a top class gilding service to all those who have passion for gold and gilding. Started in Germany, back in 1990. I started learning about gilding after meeting a German artist who has been in the gilding industry for many years. If you not sure about any of our product, simply call us, text us or even email us, we respond within 20 minutes. All our products are carefully selected and we try to import the best quality available..
All orders are processed daily by 3pm. Orders that are placed after 3pm are shipped following next business day. We do care about our customers because we want them to come back to us and feel welcomed shopping at gold leaf NZ. and providing fast service, high quality product and low prices is just what we want you to get.